Keeps Me Smiling: Do You See What I See? 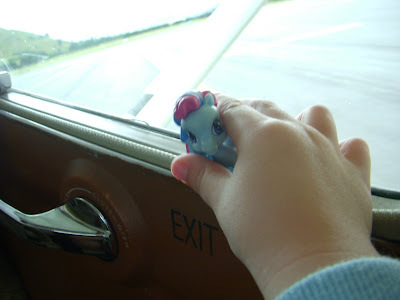 Here is my daughter flying in that same plane, with her pony. Here we are at Cape Kidnappers on the north island of New Zealand feeling like we are at the edge of the world. 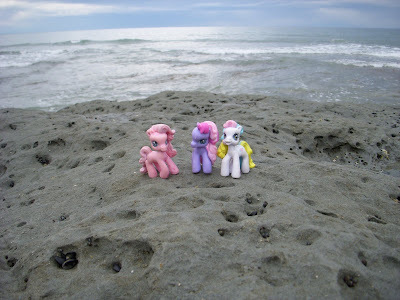 Here are my daughter's ponies, happy to be at the edge of a rock. Here we are at Abel Tasman National Park on the south island of New Zealand, stunned by the beauty of the beach and happy to be there enjoying it with the kids. 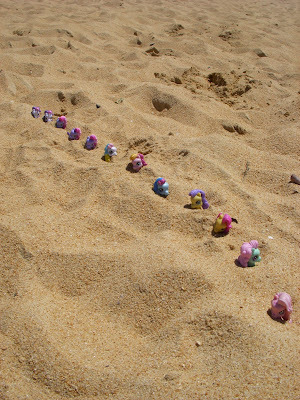 Oh yeah, and here are the ponies, parading around the beach. Ah hem...time to finish packing and schelp these kiddos off on another adventure. But before we leave, I'd better go pack up those ponies. I'll be sure to take plenty of photos of where we're going, so we can share them over at Photo Friday in the weeks to come! Destiny loved her pony from the Busy Kit on our last road trip. It also made a fabulous bath toy. Better make sure it makes it back into the bag for our trip to Vegas! I love the pony pictures! 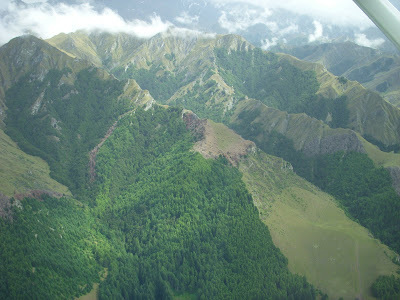 Those small planes can be both nerve wrecking and thrilling when flying over the mountains especially Milford. Nice post. As the mom of a six-year-old girl I could certainly relate to this one! 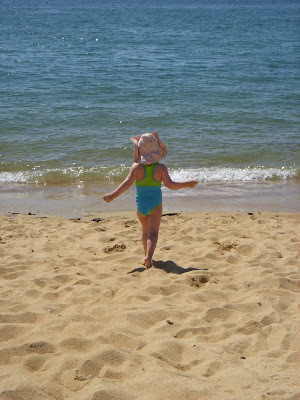 I LOVE the Abel Tasman - even though it was nowhere near so sunny as this when I was there! 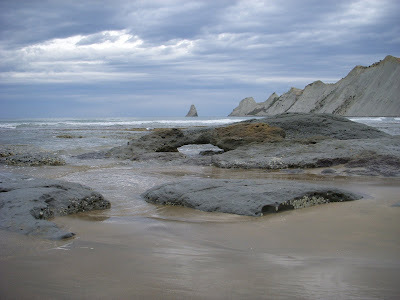 A must-see for NZ bound travelers! That is hilarious! We always take pictures of Halloween Kitty (a stuffed cat!) and Dino the Dino whenever we travel. It gets the kids involved and they love to talk about when they took Dino to New Orleans, etc! I want my own pony! I did take a little stuffed cow to India but only took one picture of it over one month! Too funny! But I bet the ponies enjoyed the trip and the attentions! That's such a great way to capture the moment. Not only, it will let you see what her interest at that point, but also give a new perspective on kiddie-view. so funny! I'm glad I saw this tonight. Gave me a chuckle. 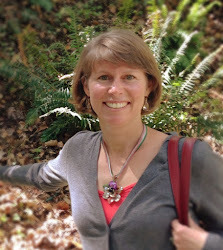 I'm envious of your traveling! it's like your own version of Flat Stanley! LOL I love that the number of ponies in the picture grew exponentially. My daughter would have a field day if she saw your daughters' collection.